UPDATE: Facebook has rolled out the timeline feature as mandatory for all accounts. 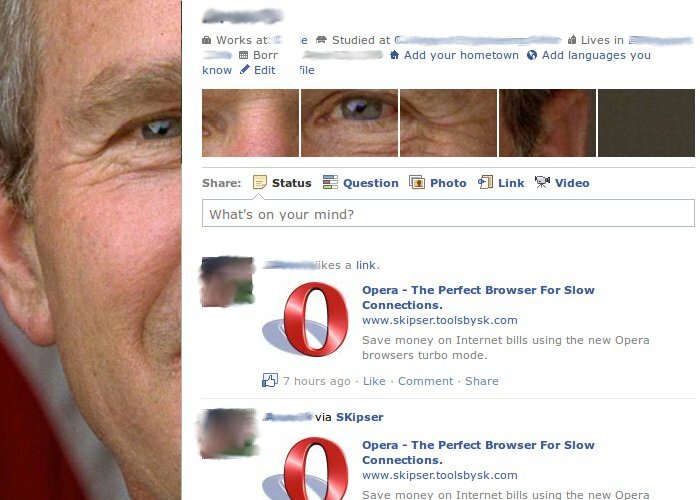 For new timeline profiles, see this - making a killer facebook profile. You should already have notice Facebook's new layout which allows six images at the top of profile pages. A little creative imagination and you can give your profile page a big face lift to and make it attractive. For instance, you can cut a large photograph into pieces and tag them on Facebook such that one slice appears as their main profile picture while the other pieces show up in the thumbnail regions. You can use ProfileGen to create the smaller images easily. You need to submit your image and ProfileGen will give you all 6 smaller images for you to download. You can download this ready made Gimp image. Open the image in Gimp and you will find two layers - "background" and "Layer1". Just open your own photo with gimp and copy paste it into Layer1. Background is the Facebook page image with transparent areas at the image locations. Now you can position the pasted content appropriately and just cut out images for profile and thumbnails and save them in a folder. Now upload all these image slices to your Facebook photo album and then tag them in the following sequence (the order is very important). That's it. Now you have an attractive Facebook profile page that would make anybodies eyes look at it. Also see these professional tips to make your profile stand out in the croud in our Facebook Uncovered E-book. The first method is astoundingly brilliant. Thank you, thank you, thank you. This is not any app and not the facebook features , this tool just cuts the pic you upload into pieces , and by using those image pieces in your fb profile you can make your profile looks like the above profiles shown in the post . You can do this work manually it requires 4-6 images of different sizes , if you know gimp you can do it manually which is a bit of fun as well. 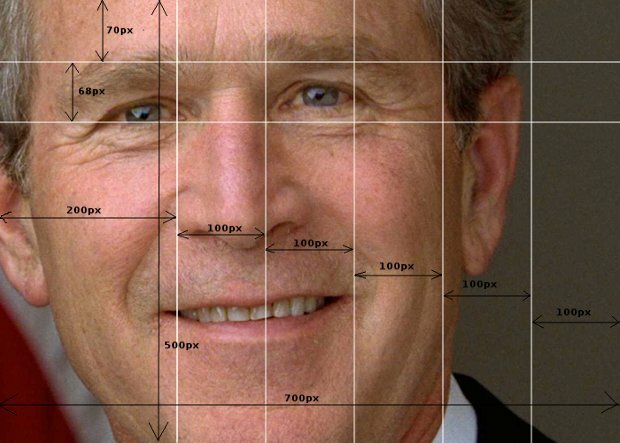 You can position your image properly to get best results. The order of my pictures changes every time I visit my page. Any idea how to lock the order? I love my facebook account and after reading your tips it will surely look better then now ..